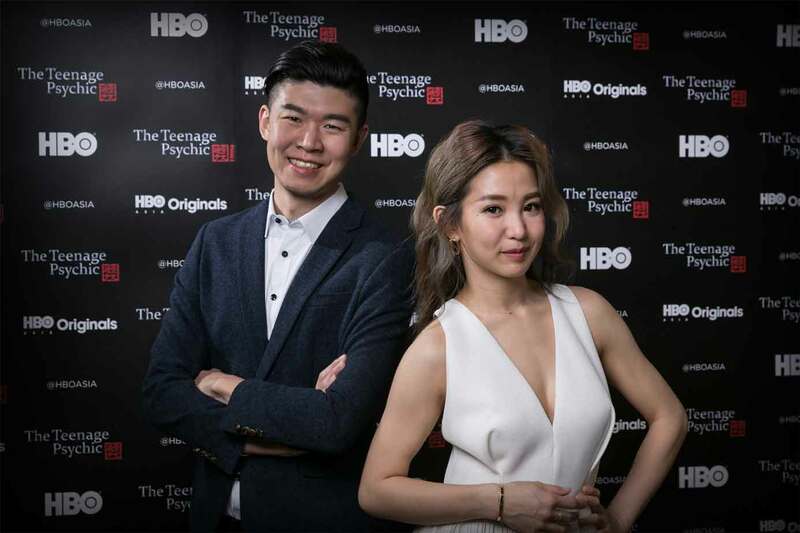 "Teenage Psychic" is HBO Asia's first Chinese-language series, and was shot entirely in Taiwan. Taiwan makes a fair number of dramas. However, none of them have made it onto the vaunted US premium channel HBO… until The Teenage Psychic (通靈少女), which is HBO’s first Chinese (and Taiwanese) language series ever. 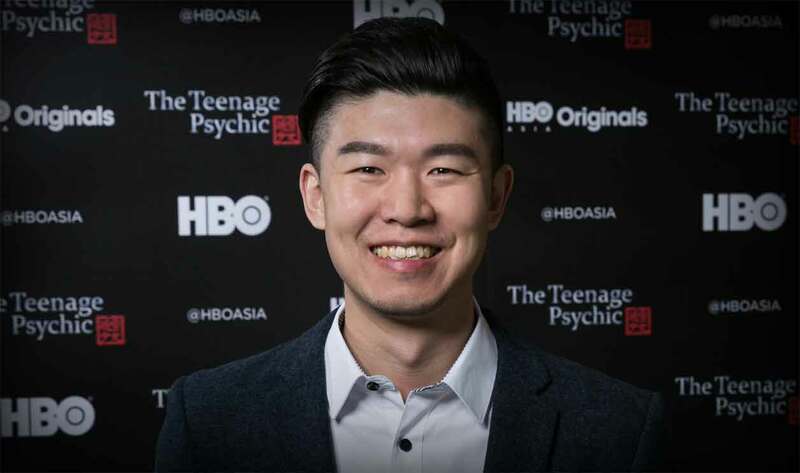 Now available for streaming in the US on HBO’s various digital services, Teenage Psychic enjoyed high ratings and critical praise when it aired across Asia earlier this year. At the helm of this series is director Chen Ho-yu (陈和榆), a relative newcomer to the world of Taiwanese television. Cinema Escapist caught up with Chen and had a brief exchange to learn about how his journey from making high school shorts to directing a HBO series. Can you tell us a bit about yourself, and how you got involved in filmmaking/television? films with a digital video camera that I borrowed from my classmate’s father. I was then inspired by Taiwanese film director, Ang Lee, to study drama. In graduate school, I studied filmmaking. During that period I started scriptwriting, shot films, and trained in theatre. You mentioned Ang Lee… who are your inspirations — either inside or outside Taiwan — as a filmmaker? I have always been influenced by the Chinese actor, director and producer, Stephen Chow. I watched his movies since my childhood and have always enjoyed the way he used humor to tell a sad story in an unrestrained way. Humor has always been an important genre to me, as I believe that humor brings people closer together. [As previously mentioned,] Taiwanese film director Ang Lee is also an inspiration to me. I appreciate his portrayal of human emotions though different cultures and the balance he has between pop culture and art in all his films. Both Ang Lee and I have the same background in stage drama, which is highly encouraging to me. How did you first come up with the idea for your 2013 short “The Busy Young Psychic”? “The Busy Young Psychic” was a result of an assignment from school where my professor tasked us to find an interesting character from the local news and create a story about that person. I happened to read an interview about the daily life of a psychic and found it very interesting. We often think psychics are fantastic and mysterious but often forget that they are also human, with regular daily problems to face too. It was then that I imagined the psychic character as a teenage girl who has to juggle the pressures of teenage life, such as academic and peer pressures in school, with the demands of being a psychic working in a temple after school, yet trying to have a normal social and love life. I contacted the psychic I read about in the news and asked her if she would be a consultant on my short film. We eventually became good friends along the way. This short film has since changed my view on life. Chen Ho-yu with Kuo Shu-yao (郭書瑤), who plays the lead character in The Teenage Psychic. How did “The Busy Young Psychic” eventually turn into the Teenage Psychic TV show? “The Busy Young Psychic” was subsidized by Public Television Service (PTS), a broadcaster in Taiwan. The short film was well received and performed well at local and international film festivals. With the help of PTS and InFocus Asia Media (IFA), a production company in Singapore, we contacted HBO Asia. Fortunately, HBO Asia liked the short film and decided to produce The Teenage Psychic, their first Chinese language drama series. How does working with a Western media company like HBO compare to working with local Taiwanese (or Chinese) production/distribution companies? Working with HBO Asia meant we could bring the series to audiences in other Asian countries and even global markets. I believe this type of cooperation with international media companies will be the trend of the future. Filming for a regional audience also meant we had to be more respectful and pay more attention to local cultural sensitivities and legal requirements present in other Asian countries. Most Taiwanese companies are not willing to take risks. However, HBO Asia was willing to trust our views. Our team is very young. We are all from Taiwan and the average age of the creative team is about 30-years old or younger — but we are all passionate about telling good stories that will resonate with our audiences. motivation for that, and was it difficult to convince others to keep using Taiwanese language instead of using only Mandarin? When I created The Teenage Psychic, I wanted to showcase Taiwanese culture to the rest of the world through telling the story of a regular teenage girl with psychic abilities. This meant not just showing the traditional temple customs and rituals, but also the Taiwanese language, behavior, emotions, and values. The Taiwanese dialect is widely used in the local temples and dialogue was key to portraying the different relationships and emotions in the series. What advice would you give other young, aspiring filmmakers in Taiwan? Writing a script and producing your first works with your own resources is most important. Do not worry too much about whether your film is good enough or not, and don’t be greedy and want everything to be perfect at the first attempt. Practice telling the story with limited time. Continue to work on improving your craft and keep shooting! Do you have any upcoming projects… perhaps a second season of Teenage Psychic? second season. In the new season, the main character will face more challenges and challenges in the adult world. Stay tuned!